Selwyn School’s athletic programs help build confidence and discipline through physical education and interscholastic team sports. These programs teach the values of teamwork and good sportsmanship, and give students the opportunity to play competitively in the activity or sport of their choice. We believe that a positive approach is essential to success and improvement in any capacity, especially when it comes to athletics. Selwyn School athletics and coaches focus on physical training and helping students develop the skills necessary to achieve success personally and as a team. Acknowledging the growing body of research that shows the effects of wellness activities on student stress reduction and productivity, Selwyn has added wellness offerings in both its physical education programs as well as classroom routines. 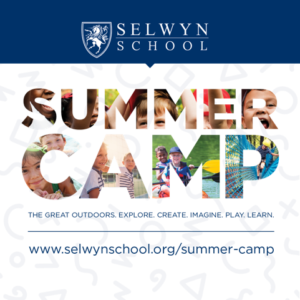 Athletics are a valuable experience that should be made available to everyone, and this policy of inclusion is at the core of all Selwyn’s physical education programs.